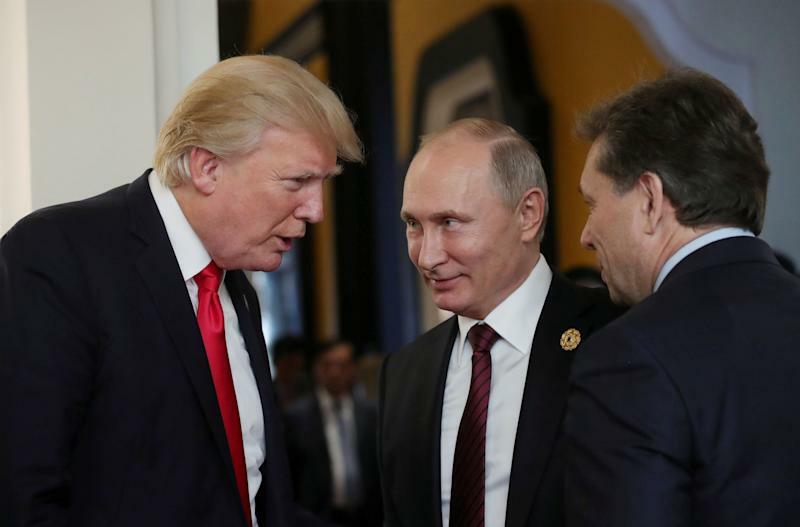 Shortly after theabsolutely unsurprising re-electionof Russian President Vladimir Putin, U.S. PresidentDonald Trumpwas given explicit instructions in his daily briefing materials to avoid congratulating his counterpart. The Post noted that the same briefing document supplied to the president about the call also urged Trump to discussallegations of Russian meddlingin the 2016 presidential election and to condemna nerve agent attackon a former Russian spy in England earlier this month. The departure from his aides’ suggestions is relatively normal for Trump,who often goes off scriptand ignores the advice of his advisers and lawyers. He has often refrained from outright condemnation of Russia and has mostly refused to comment on claims that the country tried to influence the last presidential election. Last week, however, the Trump administrationimposed new sanctionson several Russian citizens and organizations over the country’s role in such meddling. Trump also said at the time it “looks like” Russia was behind the nerve gas attack, although he refrained from harsher punishments akin toBritain’s expulsion of 23 Russian diplomats.